The newest Butlers Chocolate Café has been opened in Ballsbridge. 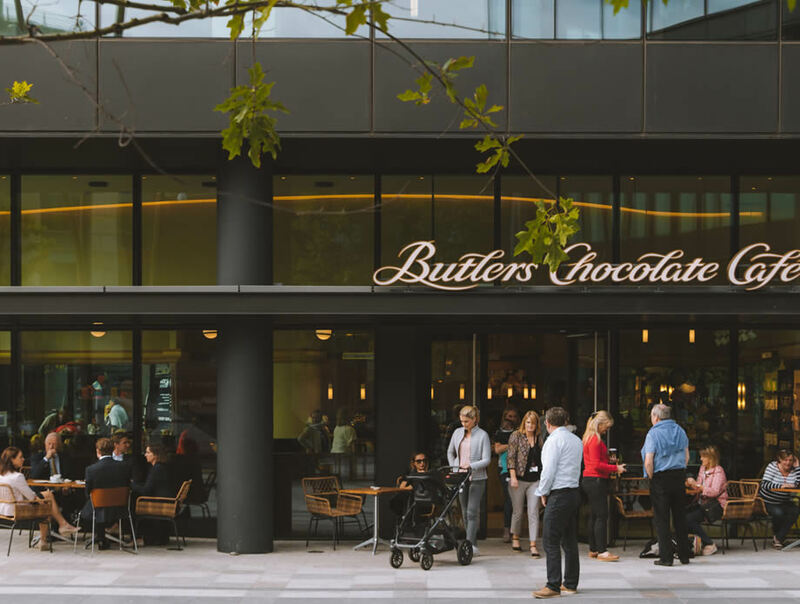 This is the 21st Butlers Chocolate Café opened in Ireland and the company’s 36th globally. The flagship café located at Number One Ballsbridge, off Shelbourne Road, aims to reflect the architectural and natural beauty of its environs. It will include a contemporary fresh design, while paying homage to Butlers’ traditional brass detailing, bespoke curved surfaces, and beautiful lighting. The newest Butlers Chocolate Café at Number One Ballsbridge is home to the brand’s recognised fine beverages and sweet treats including barista prepared hot and cold beverages, Butlers hot chocolate and a contemporary new artisan sandwich range; freshly made in store, from the finest local ingredients. Butlers Chocolate Cafés also offer the luxury chocolate box retail experience, including customised gift wrapped ballotins of personal favourites, as well as gourmet chocolate bars, fudge and caramels.